You’re invited to COS for two special events hosted by the COS Creation Care Team. 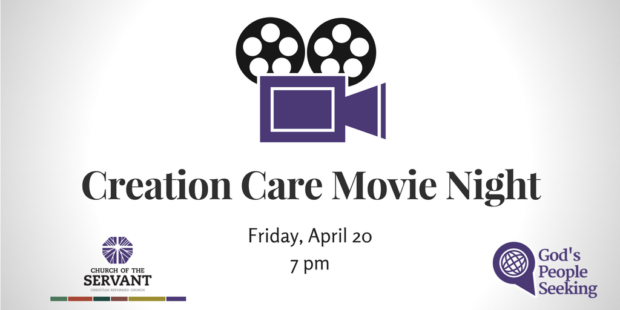 The first event is a screening of the documentary, The Messenger, on Friday, April 20 at 7 pm. The Messenger is an artful investigation into the causes of songbird mass depletion and the compassionate people who are working to turn the tide. The film takes viewers on a visually stunning journey revealing how the problems facing birds also pose daunting implications for our planet and ourselves. Following this 90-minute documentary, there will be time for audience discussion. We then invite you to join us Sunday, April 22, at 9 am where our GPS (God’s People Seeking) session will be lead by Calvin College Biology Professor, Darren Proppe. Darren’s research focuses on how songbirds respond to anthropogenic noises – traffic, factories, etc. – that interfere with their ability to find a mate and defend their territories. Darren will lead us in exploring some of the many challenges we humans are now causing for songbirds and some things we can do to rectify these threats.